Our growing Finance Department seeks motivated and dedicated candidates for the position of Accountant. 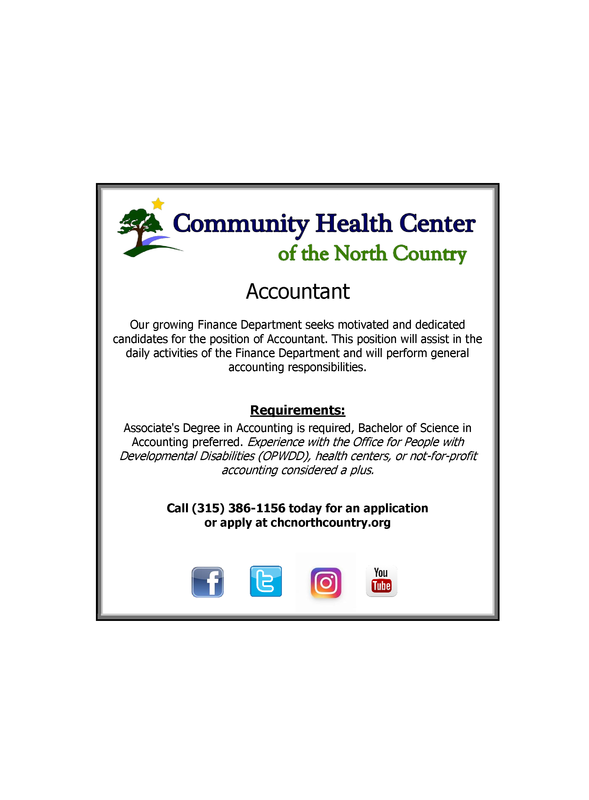 This position will assist in the daily activities of the Finance Department and will perform general accounting responsibilities. Associate's Degree in Accounting is required, Bachelor of Science in Accounting preferred. Experience with the Office for People with Developmental Disabilities (OPWDD), health centers, or not-for-profit accounting considered a plus.